Huckleberry Finn and Tom Sawyer would have worn this boot if it had been around back then! 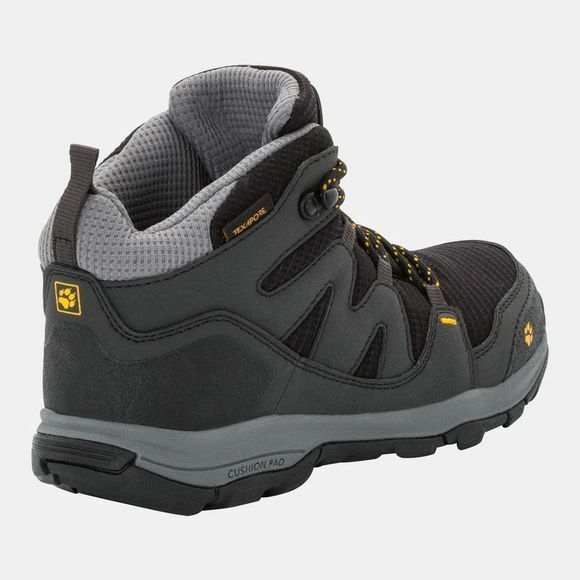 The waterproof Boys Mountain Attack 3 Texapore Mid was designed for hiking and other leisure activities. 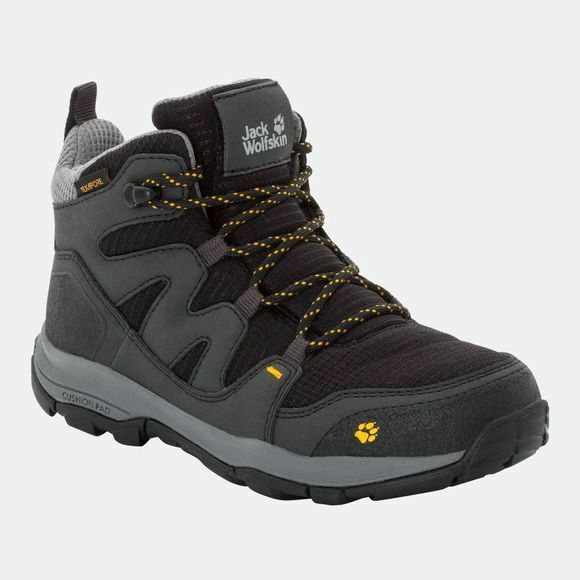 The special EVA Midsole cushions every step and makes the boot extremely comfortable to walk in, which is particularly important on longer hikes. The boot has a rubber outsole with an anti-slip tread that delivers good grip on grass, forest trails and uneven, muddy terrain. The upper extends to above the ankle and provides very good support. A waterproof Texapore membrane keeps the foot dry even in heavy rain. And because the boot is made entirely of synthetic materials it requires minimal care and maintenance. We think it's important that kids should enjoy their hiking adventures and not be weighed down by heavy, cumbersome footwear. That's why we've designed the MTN ATTACK 3 Texapore Mid to be as light as possible. The boot is actually 22 % lighter than its predecessor.